Here is a list, with no particular order, of just 10 of our favourite places to visit and things to do in Costa Brava, but there are many more. Many more that would also deserve to be in a “Top 10” list. 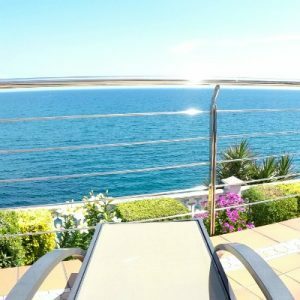 These recommendations will come very handy if you decide to spend your holidays in Costa Brava and stay in one of our apartments in Llançà, or in S’Agaró. Some of the recommendations are very well known, and some are not so well known. Enjoy the diversity this region has to offer to avid explorers. All of them are within maximum an hour drive, some of them are just some steps away from the apartments we propose you. Have a look around as we have included some cool videos, pictures, local knowledge and some relevant information. Cami de Ronda is a scenic coastal path that stretches along most of the coast in Costa Brava, always along the sea. Its sections in Llançà and S’Agaró are especially beautiful. If you are staying in one of the apartments we propose, there is no need to get the car to reach it, just walk to it within a few minutes. It is our favourite place to have a family stroll and find new spots to acces the sea and explore the underwater world practising apnea. Some find in it the perfect venue for walking the dog, jogging, cycling, walking on the rocks, collecting seasonal asparagus or wild berries… Endless opportunities, only limited by your curiosity. Another aspect is the ever changing picture. It’s beautiful all seasons, and different every hour of the day. Make sure to enjoy it during the “Golden Hour” (as photographers call it) when indirect sunlight is diffused, and amazing colours are magnified by the reflection on the sea as memorable picture opportunities arise. Even if you walk along the “Cami de Ronda” every day, believe us, you never get tired of it, as you will see the sea every day different and beautiful. 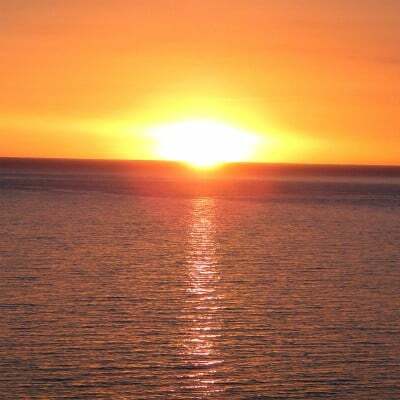 We have made thousands of pictures, but it is unfeasible to transmit the feeling of the breeze, hearing the sounds of the sea, the healing inhales of iodine floating in the air and the sensation of peacefulness. Greet the passers-by with a sincere hello and most probably you will receive a smile back. Take a look at this great video shot with a drone in the vicinity of Cau del Llop, where you will appreciate some sections of the Cami de Ronda. Apartment “Cau del Llop 1” also appears in this video, can you spot it? Enable the sound of the video for a full experience. Consider also a full screen mode by clicking on the four arrows. In order to have a complete holiday experience, there should be room for a cultural program. In this case, you don’t need to go too far to savour the legacy of probably the greatest surrealist artist in history, Salvador Dalí. 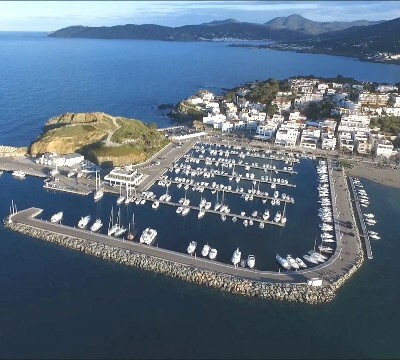 It is just a 20 minutes drive from Llançà to Figueras, where the Dalí Theatre-Museum is located. This is not the usual museum, it is a piece of art itself. Unlike others, it is not a collection of countless equally squared rooms with pictures on walls. This one was conceived and designed by Salvador Dalí himself, which makes it a completely different experience for everyone, not just for serious art lovers. There is a special genius atmosphere floating in the air. Check out the following video to get a taste of it. As an appendix to the museum and with the same ticket, you also get access to a fantastic jewellery collection that will not leave anyone indifferent. For those who want to enjoy further the Dalí World, the Museum in Figueres is just one of the vertex of the Dalinean Triangle. You can also visit the Salvador Dalí House in Portlligat and the Gala Dalí Castle in Púbol. Just a little word of advice: In order to avoid long queues, it is better to buy tickets online and be there at opening time (9:00 from April to September). Also good to keep in mind that during the year the museum might be closed on Mondays. 3. More than 30 beaches near Llançà! There is a choice of over 30 beaches near Llançà… Which will be your favourite one? Costa Brava is one of the top destinations for Beach Holidays in Europe. There is a wide variety of beaches and coves. Near Llançà, some of them are facing East, while some others are facing South or North. Depending on the orientation, they might enjoy direct sun rather on morning time or on late afternoon time. Would you prefer it sandy, pebbly or rocky? Would you rather go to one with a refreshment stall? Or would you prefer to find a more private small cove? You can choose 😉 Explore and find your favourite one! It is tough to choose a favourite beach near Llançà. We have in fact several favourite ones 😉 And we are planning on writing more about the ones we like the most in our “Explore Costa Brava” Guide. Be the first one to know when we publish new content; subscribe by just filling your name, preferred language and email in the following form. EXPLORE LIKE A LOCAL. GET INSPIRED. DREAM YOUR HOLIDAYS. Do you want to know when articles are published in the Costa Brava Guide? We will have full respect both for your contact data and your inbox. Spend your day on one of the beaches. Try a different one the following day. Some are good for building sand castles, some are great to explore the underwater world, snorkelling, practising apnea or scuba diving. Some are better prepared to have an ice cream or a meal, and others, less accessible, are better to get a full tan. 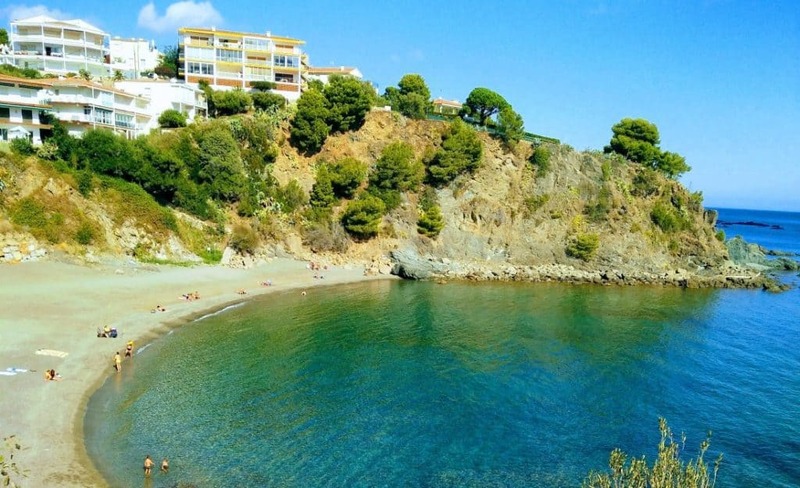 Like it also happens with forests, beaches in Costa Brava are charming through the different seasons. Obviously, during summer the water is warmer and the probability of good weather is very high. It is also a great idea to enjoy them during different times of the year out of the typical touristic season. In the following picture, taken on a nice day at middle-end of October 2017, you will see some privileged people having a bath in the Sea while enjoying the whole beach of Cau del Llop for themselves. Get into the water from any beach, any point of the coast, jump from any rock. The sea is everywhere in this region. And unlike in long beaches where you only get a desertic underwater scene, the live underwater here is beautiful and very diverse. Just choose snorkelling, scuba diving or maybe you prefer freediving to have a full experience of just yourself with your own means completely surrounded by water. Follow your heart and enjoy the sea, the rock formations and the fishes. Explore the caves, inspect the cracks. Find an octopus hiding in a hole, a sea bass navigating next to the surface, or a gilt-head bream inside a field of Posidonia. The best places to scuba dive are the natural reserves of Cap de Creus and Illes Medes, where the following video is shot with a high definition camera. In it, you will see a few different fish species. If one needs to be pointed out is the Grouper, although difficult to spot out of protected areas, is the king of the underwater environment of Costa Brava. Cap de Creus is the magical Cape where the Pyrenees take a dive into the Mediterranean Sea. That, combined with the northern strong wind “Tramuntana” that blows mostly in winter and prevents trees from growing vertical, makes a very particular landscape. Be ready for a wild, very different natural scenery, which sometimes makes me think of the moon. There are steep cliffs, all kind of rock formations sculpted by the wind, hidden bays and islands. Inspired by this extraordinary seascape Salvador Dali created his unique surrealist art. It is one of the largest natural parks in the region, which combines both protected land and protected sea. It is also the most eastern land of the Iberian peninsula, and on the most remote point, there is a lighthouse that appeared in the movie “The Light at the Edge of the World lighthouse”, adapted from a Jules Verne’s classic 1905 adventure novel. Watch the following video to get an idea of the landscape of Cap de Creus. The images are taken from a drone during sunrise and sunset and are spectacular. You will understand why some beaches in Cap de Creus are only accessible on foot (great hike, by the way) or by boat. The Monastery of Sant Pere de Rodes is a magnificent example of Catalan Romanesque architecture. There are guided visits. Close by there are the ruins of the medieval village of Santa Creu de Rodes and the church of Santa Helena de Rodes, which can also be visited. 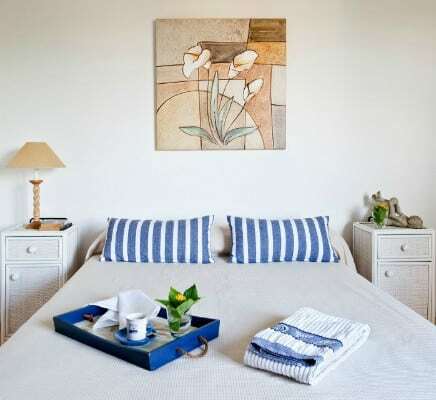 It is strategically placed on the upper hillside of the mountain from which you can admire one of the best views of the sea and the coastline stretching from Cap de Cerbère to Cap de Creus. Nowadays you can enjoy these impressive views while comfortably having a meal in the restaurant inside the monastery. The location is perfect for a variety of interests, as it unites people who love beautiful nature and walking in the forest, those who enjoy a cultural visit, people who will find the magnificent views inspiring for meditation, and those who are ready for a small 30 minutes hike to the top of the mountain. At the top of the mountain, you will encounter the ruins of the ancient Castle of Verdera. As soon as you arrive at this high point, you are instantly rewarded with an amazing view of Roses Bay and the inland grasslands. As one can see a much larger extension of Sea because of the perspective, this site was also used to anticipate pirate attacks. One of our favourite places, we highly recommend it! Embrace the Mediterranean Cuisine. From the world’s top chefs restaurants to finding the tastier and healthier ingredients in the farmer’s market and visiting a local winery. In the ranking of the world’s best restaurants since 2002, two restaurants located in the area of Costa Brava have been consistently ranked in the top 3. “El Bulli”, located in Cala Motjoi and led by chef Ferran Adrià, who closed down the restaurant on 2011 to concentrate on the Bulli Foundation project. And “El Celler de Can Roca”, located in Girona and led by the three Roca brothers. In Llançà there is also a restaurant led by a top chef, Paco Pérez, with two Michelin stars: “Miramar”. Coincidentally, the same chef recently opened a new restaurant “Terra” in S’Agaró. It is not by chance that Catalan restaurants are so well regarded, and to my understanding, both the Catalan food culture and the diversity and quality of raw products play a major role. So don’t worry if the world’s top restaurant prices are a little scary, because you will be able to enjoy excellent meals in a large number (and variety) of more affordable restaurants. Also, if you prefer to prepare a nice meal at home, you will be able to find the finest products in the farmer’s markets. If you are interested in coming articles, sign up in the following form to be the first one to know. Besalú is a special day trip recommendation. Just 40 minutes drive from Llançà. If the image of Sant Pere de Rodes evoked a feeling of time travelling back to medieval ages from you, in Besalú you will be immersed in a whole medieval village. It is the best preserved historical-artistic medieval complex in Catalonia. The iconic Romanesque fortified stone bridge over the river Fluvià with a gate to the village is another of the vestiges of the County of Besalú, which together with that of Barcelona, ​​Ripoll and Girona, saw the birth of Catalonia. Do not miss its majestic arcaded square, its Jewish quarter including a Synagogue and a Mikveh (a bathhouse used for the purpose of ritual immersion to achieve purity), the castle of the Count and the monastery of Sant Pere, located outside the village walls and founded on year 977. Naturally, some movie makers have been attracted by the medieval atmosphere of Besalú. Some movie scenes of “The Perfume” have been shot in it. The tourism office of Besalú offers daily guided tours of the town in different languages. We love drone videos, they are so cool! Here’s one showing Besalú from the air and flying along the narrow, twisted streets. This quick virtual visit helps to imagine how an actual visit would be but is far away from the real experience. Banyoles is just 50 minutes away from Llançà by car. It is a great day trip that could be combined with a visit to Besalú if you run short of time, as they are only 15 minutes drive apart. The main attraction, but not the only one, is the Lake of Banyoles and its natural surroundings. Lake of Banyoles hosted the rowing competitions of the Olympic Games of Barcelona 92 and is a favourite place for many athletes to do their stages of preparation. We recommend parking the car next to “Parc de la Draga”, and start your visit walking through this peaceful, bucolic green area. Last time we visited this park our daughter was 6 months old and we both agreed that this would be the ideal place for daughter to take her first steps. Fantastic place to enjoy a picnic with your couple, too. Within this park, you will find a part of the archeological museum of Banyoles, with a reconstruction of a Neolitic town. And next to it, the shore of the lake. Along the shore, you will spot some interesting fishing constructions from the 19th century, called “Pesqueres”. Also, you will meet very friendly ducks, which with pleasure will chat with you in exchange for some bread. They might accompany you some time as you walk around the lake. As you continue walking around the lake and reach the other side, you will arrive at the medieval church of “Santa Maria de Porqueres”. This area is great for a stroll within the ecosystem between the lake and the forest. For nature lovers, there are informative signs about endemic flora and fauna. Don’t forget the camera! Take any device that can take photos or videos and capture unforgettable moments with your beloved ones. Girona is definitely a top visit, it has so much to offer! It has a particular and strong character that makes it especially attractive. The city motto: I fall in love with Girona. The whole city is soaked in history, the Jewish quarter, the churches, the buildings, the bridges, the narrow streets… Current population of over 100,000. The first inhabitants were Iberians. Later the Romans arrived and built a citadel, named “Gerunda”. Then the Visigoths and the Arabs ruled. In 785 it was conquered by Charles the Great, “Charlemagne”, king of the Franks). Have a stroll, slowly absorbing the beauty of this city, take the narrow streets towards the river, along which you will see the iconic picture of the colourful houses, and the iron bridge “El Pont de les Peixateries Velles”, built by Gustave Eiffel in 1876. Walk up to the Gardens “Jardins de la Francesa”, and walk along the city walls “El Passeig de la Muralla”. Stop in one of the many street cafes and restaurants. Do not miss the cathedral “La Catedral de Santa Maria de Girona”. Its building started in 1038 and continued for 6 centuries, so there are different styles. The first building was built on Romanesque style but redesigned on 1312. It mixes Baroque and Gothic architecture. Just in front of it, there is a wide stairway with 86 steps. The small square at the foot of the steps is a perfect place to have a coffee and admire the cathedral. If you watched Game of Thrones, you will remember Jamie Lannister going up the stairs to the cathedral on a horse. Also Ayra running the streets of the city of Bravoos. Which brings us to The Arab Baths “Els Banys Arabs”, and “El Call Jueu”, the Jewish quarter in the old city. The 12th century saw a flourishing of the Jewish community in Girona, home of one of the most important Kabbalistic schools in Europe. If you have any questions regarding the area, our properties or availability, please drop us a line. We are here to help!